What makes Amsterdam so special? 1. Canals - Architecture - The Bike Culture. Amsterdam has everything you need to make your short trip an unforgettable experience. You can discover the extensive canal systems by boat, or walk along the canals. In the meanwhile you can enjoy the beautiful, typical Amsterdam Canal Houses. Did you know there are more bikes in Amsterdam than inhabitants? You see bikes everywhere. Besides all this the city itself is so tolerant, that the only thing you have to worry about is being yourself and having a great time! 2. Amsterdam is a city where you never get bored, with lots of beautiful museums. I would really recommend the museums that show the works or lives of dutch heroes, to get an impression about the Netherlands and its rich history. The Anne Frank House, the Van Gogh Museum and the Rembrandt House are really worth a visit. Tip: Buy your tickets online to avoid long lines. If you want to get away for the City live for a moment, you can head to a park like the Vondelpark. Here you can relax in the nature. The possibilities of Amsterdam are endless. 3. In summer you can find loads of lovely terraces. Order a cold Dutch beer and some bitterballen, and experience Amsterdam just like a local. Also the city just started with pilot Food Trucks on 24 locations. Instead of hotdogs and french fries, you can eat delicious, healthy and local food on the street. The Food Trucks rotate every day. A lovely concept! The fasted and cheapest option to go from Schiphol airport to the city centre of Amsterdam is by train. Via Schiphol Plaza, you can walk straight to the departure or arrival hall. Trains to the city centre run every ten minutes and the journey takes about 10 to 20 minutes. At Schiphol, you can buy your train ticket at a NS machine (with a blue sign and white NS logo on top) and the Tickets & Service counter at Schiphol Plaza (past customs). A ticket to Central Station will cost €4,50 (full rate second class) for a single journey. You have to check-in by laying this card to a card reader of the NS. You can find these on every train station. However, I would recommend to people who stay for longer than two days to buy an Amsterdam Travel ticket (you can travel one, two or three days with public transport with this ticket), or for a really long period an OV-chipcard at Schiphol. On this card you can put money to travel with train, tram, metro, and buses. With the app in the Appstore you can download: 9292. You fill in from which station you are departing and which station you want to go to. The app then will give you a travel app. For more questions, ask me in the Forum! The city is easily walkable and mostly easy to get around while using the tram or metro but you may also rent a bike anytime. 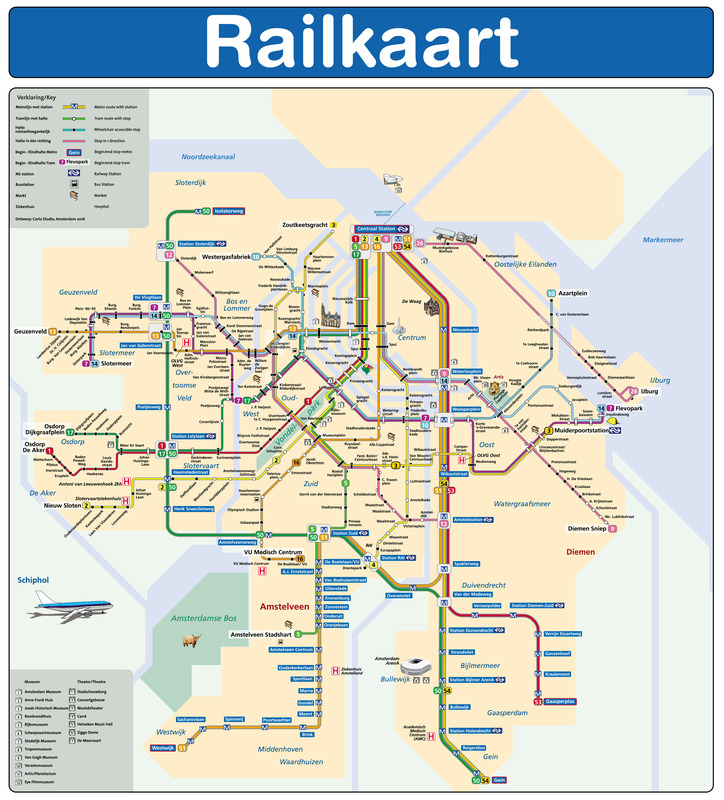 In Amsterdam and beyond, the public transport chip card (OV-chipkaart) is used for travel on trains, trams, buses and metros. The most convenient options for visitors are one-hour cards, (multi) day cards, or an anonymous card which you can add more credit to at any time. I do not recommend to buy single tickets, because those are quite expensive. 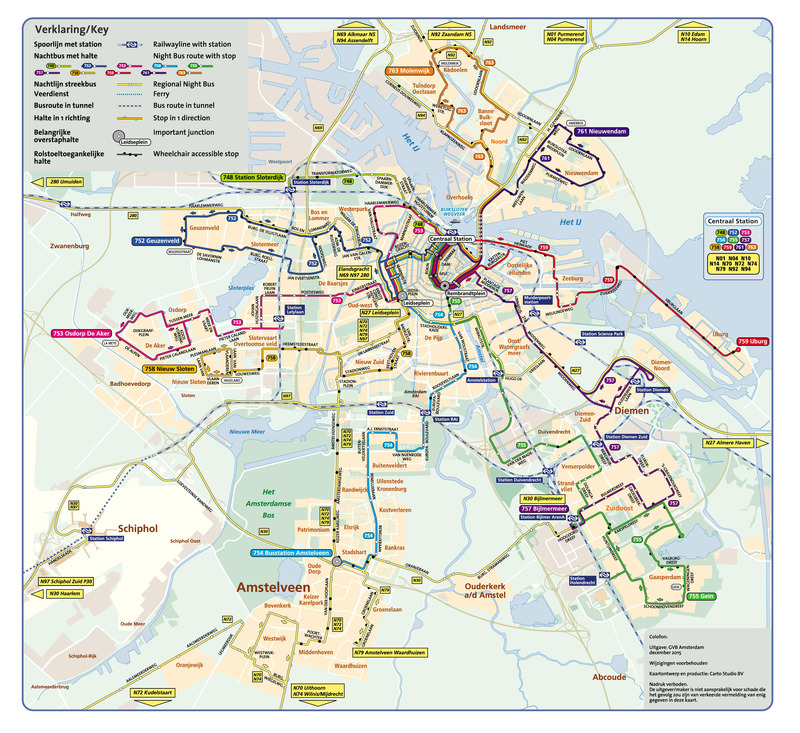 Before seeing the sights, you may wish to consult the 9292 route planner (9292.nl/en) to help you find the quickest and most convenient way to get from A to B. - Typical meal times: Between 19 h. and 21 h.
There are many bars and clubs at Leidseplein and Rembrandtplein. Especially Leidse square is very popular among locals. If you are looking for gay bars and clubs, I recommend you to go to Reguliersdwarsstraat and Warmoesstraat. Moreover, in Pijp Area you can also find many local bars that are loved by locals. 23 h. till 3 – 5 in the morning. You can always go to cafes and bars before going to a nightclub, they are opened the whole evening. Most of the locals will not go to a nightclub before 23.30h. - Kalverstraat: This street is the famous shopping street where most of the international, more affordable, chains are located. Moreover you can also find some locall shops here, such as Hema. - PC Hooftstraat: This streat has developed to become one of the most expensive shopping streets in the Netherlands. Several Dutch and international exclusive brands have stores here. - Nine Streets: The 'Negen straatjes' are nine idyllic shopping streets right in the Amsterdam canal belt. Little businesses, hidden cafes, hotspot restaurants, galleries and other authentic stores can all be found there. In this area there are also the shops Joz and Episode, which are recognized as a highlight of MyCityHighlight. Tuesday, Wednesday, Friday and Saturday: 10h. to 18h. Some shops are open at Sunday, especially at the Kalverstraat and the Nine Streets. From 12h. to 17h. Did you know that the most common fine for peeing in public, are for the people peeing in the canals? Buses in Amsterdam have free WiFi. With the help of the filter "With free wireless" you find more places all over the city that offer free wireless. Amsterdam has many good places to brunch. I can recommend some areas where you can find many cute restaurants and cafés to eat. First of all, the Wibautstraat. which is a metro station, has many good restaurants and cafés where you can enjoy wonderful meals for brunch. My favourites there are Drover’s Dog and The Breakfast Club. Moreover, at Rokin you can enjoy brunch at larger restaurants such as Café de Paris. Close to the Rokin is Spui where you also have brunch places. I really like Hoppe Café at Spui. One area which has the cutest and smallest brunch restaurants and cafés in my opinion, is in the area of the Pijp. You can stroll around and strike down at any place! 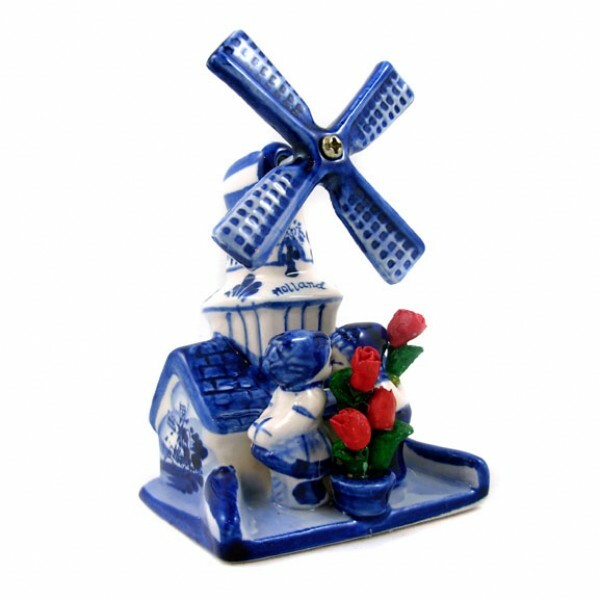 Delft Blue is the world-famous pottery that has been produced in the city of Delft since the 17th century. It arose at the end of the 16th century as a cheap alternative to the blue and white Chinese porcelain. Between 1600 and 1800, this earthenware was popular among rich families who would show off their Delft Blue collections to one another. Today there is only one factory in Delft that produces 'real' Delftware. Don't forget to take some typical Dutch cheese! 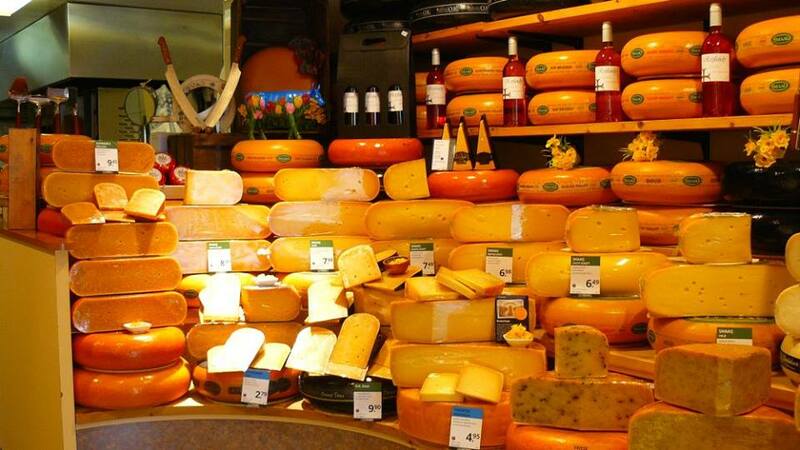 The Dutch produce a variety of tempting cheeses, but the most typical and best known are the hard or semi-hard cheeses. The Dutch cheeses are categorised by how long it has been aged. It starts out its life as mild and creamy, but develops a drier texture and more intense flavour the longer it’s aged. One of the famous cheeses are Gouda, Beemster and Reypenaer. 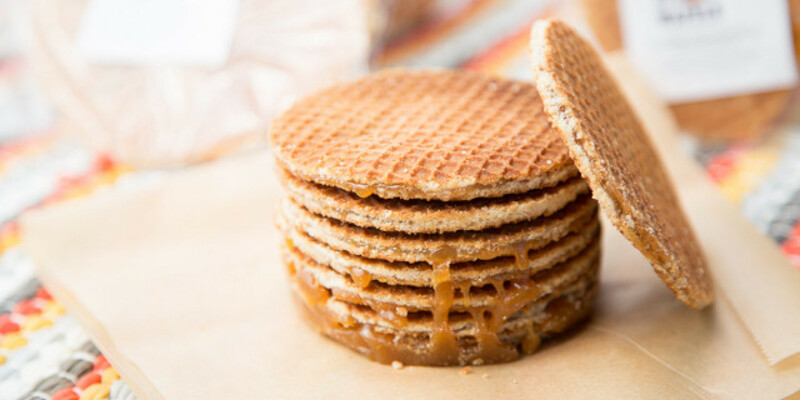 The Stroopwafel is a waffle made from two thin layers of baked dough with a caramel-like syrup filling in the middle. They are very popular in the Netherlands and were first made in the Dutch city of Gouda. I love them! …and welcome to Amsterdam! 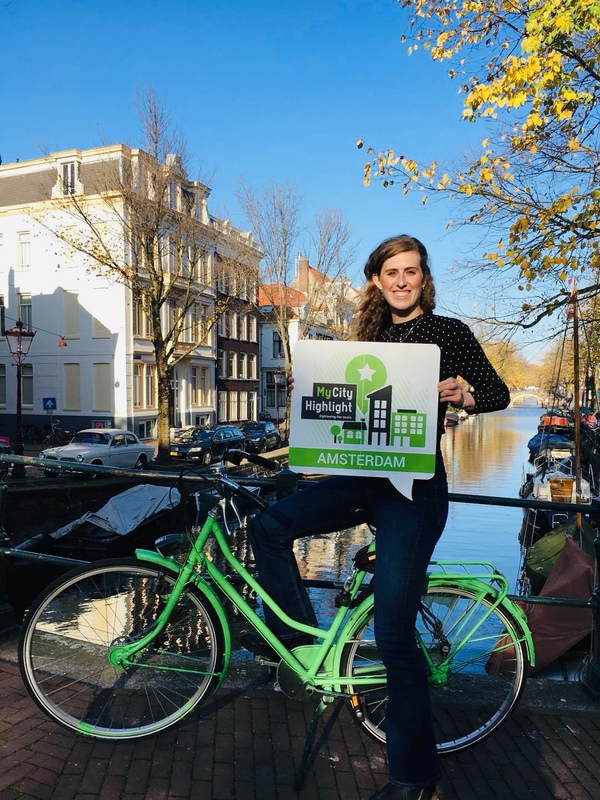 My name is Jacqueline and I am happy to present you my personal Amsterdam highlights and, hence, to give you a local view and thus very special insights into the city. If you have questions about your journey in Amsterdam, please do not hesitate to contact me directly via the menu item "Forum". Enjoy Amsterdam!